But since street food is chiefly sold to satisfy the taste buds of the locals, a traveler from another part of the globe might have a hard time getting her or his palate used to the novel tastes and aromas. Here’s a list of the weirdest street food in the world, and if you can get these meals down then there’s no street food on the planet that you can’t ingest. If you see locals lining up in great numbers at a food stall in a busy Thai market, chances are that they are buying fried water beetles, a snack consumed with great relish around Thailand. 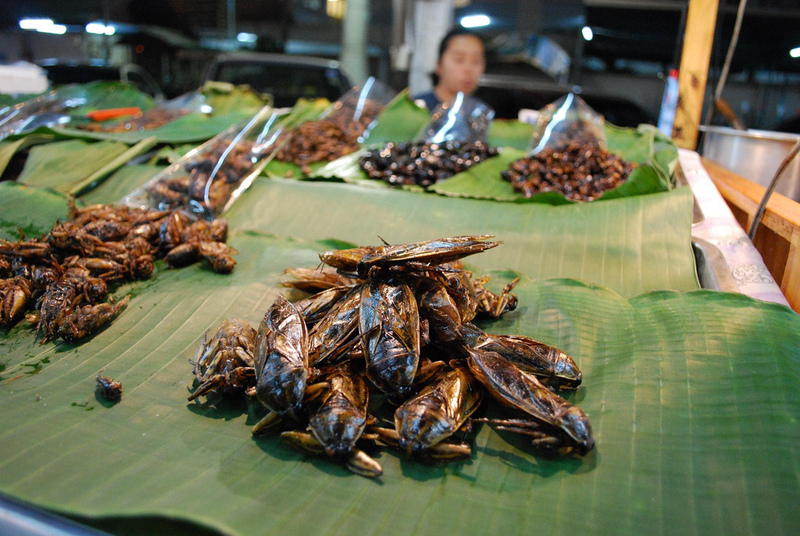 If you can forget for a second that you’re eating bugs, you’ll find that these treats have a nice crunch and texture (besides, you might have eaten them already – they are used to make namprik, a chilli paste used in many Thai dishes). 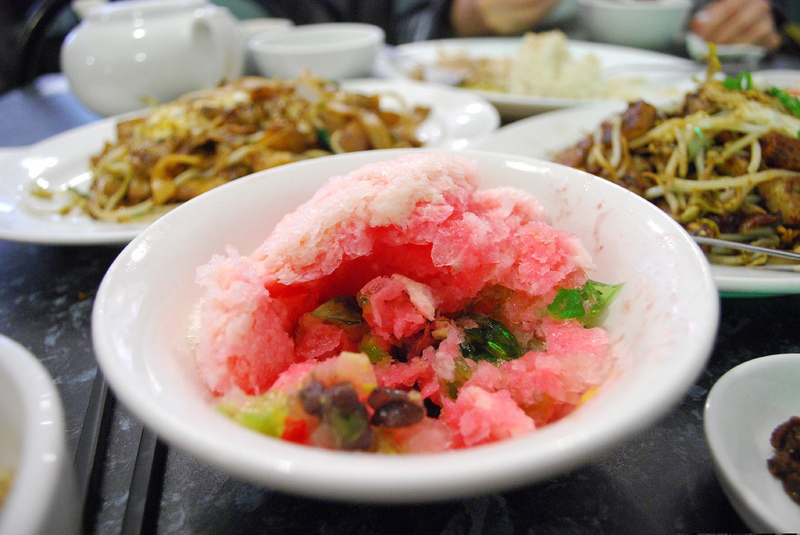 Shaved ice is a popular dessert in Asia, but the Malaysian variety is perhaps he most interesting kind of shaved ice you can have anywhere. ABC, or air batu campur, has condensed milk, palm sugar, canned corn, red beans, roasted peanuts, and cincau, cubes of black grass jelly with an unusual taste that has been described as similar to iodine. The high altitude in Tibet, and especially in the capital city of Lhasa, people need a lot of calories to get them through the day. Yak butter tea is a like a shot of calories, and to a western palate it tastes more like a hearty soup than tea. 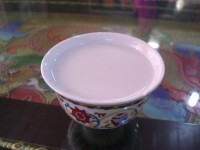 It is made with yak butter, hot tea and salt. Small teashops on the street usually sell this interesting beverage. If you’re usually paranoid about shark attacks when you’re out swimming, here’s your chance to get your revenge on them. The immensely popular bake and shark sandwiches sold in Trinidad have shark meat as their main ingredient, deep fried and wrapped in a beignet, and topped with tamarind sauce and various veggies. The best sandwiches are supposedly found in Maracas Bay. Don’t be deceive by the name of this food – it is nothing like bread. It is prepared using laver, a black seaweed, boiled until it turns into jelly, and then shaped into patties and covered in oatmeal, then fried. 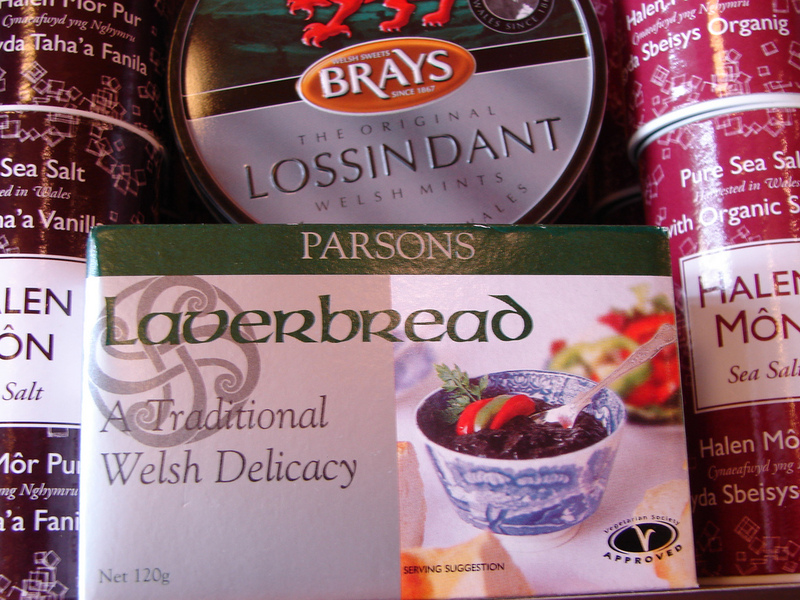 Laverbread is part of the traditional Welsh breakfast: a sandwich made of two pieces of laverbread, cockles (a type of shellfish) and bacon – delicious! You can find it in marketplaces for a quick snack. Got interested in tasting the world’s strangest meals? Browse our pages to find discounted flights to Lhasa, last minute flight deals to the UK and cheap airfares to Port of Spain, the capital of the Republic of Trinidad and Tobago. I personally love Thai street food and my experience was a bit different. It’s often adventurous tourists that want to taste the bugs. I would put Yam Nang Moo Pig Skin Salad on there as well as Khao Kha Moo, one of the most delicious pork knuckle dishes ever. 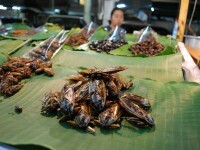 Also, how about fried spiders in Cambodia, now those I would not try, ever!